Rupert Hartley is a practicing artist based in London. Originally trained in printed textile design at the Glasgow School of Art he worked for a number of years as a print designer before studying an MA Art in Architecture at the University of East London. 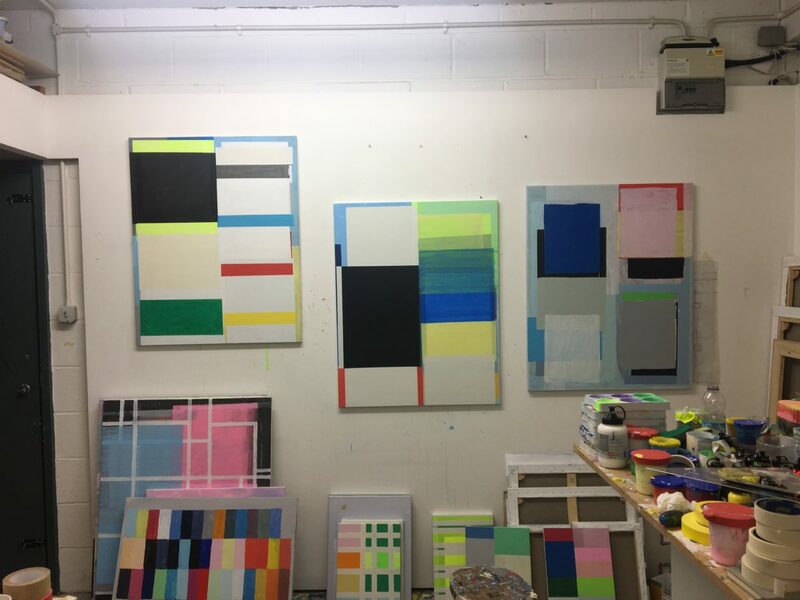 Since then he has realized numerous exhibitions, art projects and commissioned artworks, notably a recent series of commissioned flags for the Collections and Usher Gallery in Lincoln and a billboard commission for Bloc Projects in Sheffield. His studio practice combines painting and mixed media works developing experimental and exploratory processes and artworks in both 2d and 3d.